Today’s Smartphones are powerful enough to put a man on the moon, but we usually limit their use to sending text messages and browsing the web. Additionally, when new models come out, we simply throw the current ones away. Imagine the possibilities if you could use the computer in your pocket to its full potential? With Innovation Underground’s newest member, Minio Labs, you can! 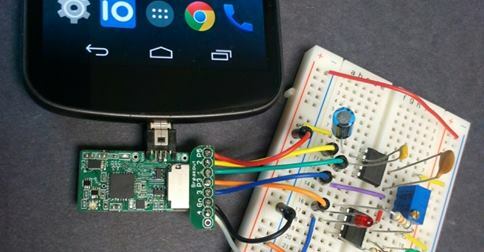 Discover all the possibilities using your mobile device: control your DIY projects, take measurements using existing sensors and play games free from limitations. Using a small, external attachment, Minio enables you to make your device into whatever you dream it could be. Traditionally, your phone is locked into the hardware installed by the manufacturer. With Minio, however, users can unlock the potential of hardware IO blocks instead of conforming to standard boundaries. The Minio SDK even allows you to incorporate your custom hardware blocks into your apps. Customization has never been easier (or more fun): with Minio, you can connect your smartphone to hardware that you create. Not only will your projects become truly mobile, but your smartphone can now be an extension of your project and your imagination. To learn more about Minio Labs, or any of our other Innovation Underground members, visit our members page.